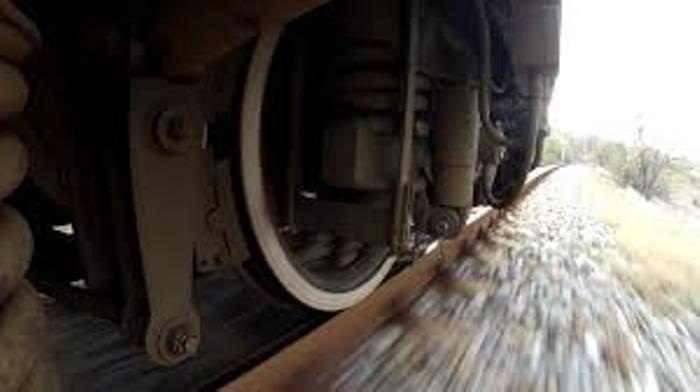 Two persons were killed after a train hit a motorcycle at Kakina Kajirhat rail crossing point on the Lalmonirhat-Burimari route of Bangladesh Railway in Kaliganj upazila of Lalmonirhat on Friday. Officer-in-Charge (OC) of Kaliganj Thana Mokbul Hossain said the accident occurred when the Burimari-bound Intercity Kartoa Express Train from Lalmonirhat hit the motorcycle there around 5:30 pm. Motorcyclist Abul Kalam Azad, 38, and his companion Atikuzzaman Titu, 40, were critically injured and local people rushed them to Rangpur Medical College Hospital (RMCH) in the evening. The on-duty physician at RMCH declared Abul Kalam Azad, son of Abu Bakar of Gajoghontha area in Gangachara upazila of Rangpur, dead. As his conditions further deteriorated at the RMCH, injured Atikuzzaman was shifted to Rangpur Prime Medical College Hospital for improved treatment where he succumbed. Atikuzzaman, son of Abdul Gafur of the Gajoghontha area in Gangachara upazila of Rangpur, was a Senior Officer at Ulipur Branch of Ansar-VDP Development Bank in Kurigram district.